As some of you will know hashbag.cc got hacked some some shites, and stole a lot of coins form the pool! This is stealing from @enkayz and the miners on the pool (myself included). This is not good for the pool itself, so I am setting up a donation to get some coins from the community to give back to enkayz so he can pay miners and support his pool! 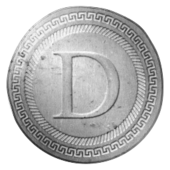 I will be using my GITTER Denarii address so members can see its balance and also where I send the coins to once collection finished (to be transparent). Please if you can send any amount donation to the above address and after some time I will send it over to enkayz pool's address when he has sorted the security loop hole. Hacked? I know there was some server issues, but hacked? How much was stolen? I'm also on hashbag and would like to know what for security steps are taking to prevent another hacker attack? @enkayz Patched the vulnerability, it was some sort of exploit with the Yiimp software itself, I am not sure of the details. It should be safe to use now. If RecoStar and enkayz don't make enough in donations I will donate the remaining amount to get everyone covered. Massive Thanks to everyone who donated and supported! I will split the coin later on today and send it to Enkayz and Kawaii Crypto who's pools were hacked and funds stolen! Glad to see this handled well.